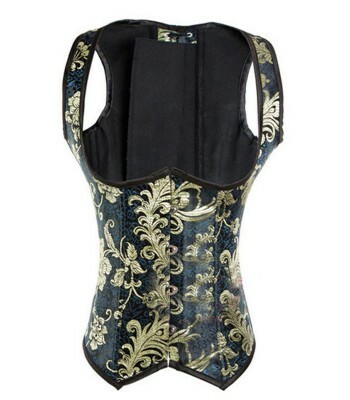 Corset Under Chest With Buckles. Corset under chest with front closure of metal clasps and buckle and back with crossed satin ribbons. It is made of synthetic leather and has high strength PVC rods. Combine it with some leggins.